I’ve had some good feedback on the How to Get Rid of Stuff post that I wrote a couple of weeks ago. I wanted to update everyone to let you all know that I do indeed follow my own advice. 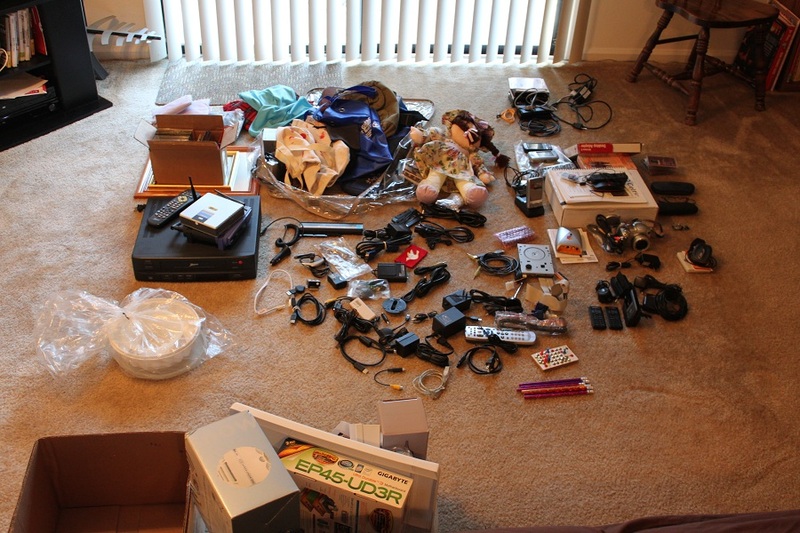 This weekend, Courtney and I finished going through our own stuff in a very quick clean-up process. It was Courtney’s idea originally—not that I wasn’t thinking about it, but I wasn’t going to make a point to do it now. She initiated it and did most of the work, actually. I mainly provided some input here and there on items that were mine. We digitized some cassettes and made a trip to the local Goodwill earlier this afternoon, and the few things that remain will be going on eBay soon or else to Goodwill too, if we decide it isn’t worth the time to sell them online. Our small closet dedicated to storage has returned to a more organized state, and we’ve both been encouraged and emotionally liberated by the whole event. It’s just so darned nice to get rid of stuff.